Redorbit.com recently reported on how ecological communities in the Arctic will be impacted by the steady reduction of sea ice in the next two decades. 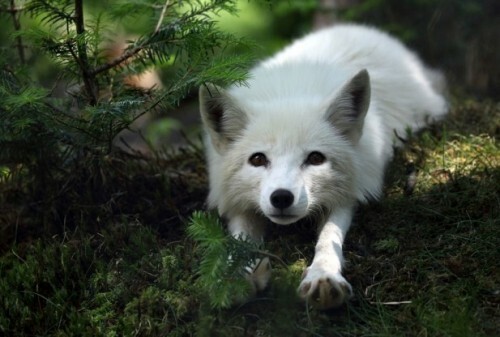 The article reported on the results of research by Penn State University biologist Eric Post on the interrelationships among many different forms of life in the Arctic, including algae, plankton, whales, and terrestrial animals such as caribou, arctic foxes, and walrus. The team’s findings were published in a recent issue of Science. Post predicts that the continued melting will have a domino effect on terrestrial animals as the food chain is disrupted. The results also suggest that receding sea ice could result in more genetic diversity among populations as travel routes open up. However in other populations, a lack of sea ice could lead to intermixing. As barriers disappear, some populations will likely mix, reducing genetic differentiation. This is currently occurring among polar bears and grizzlies. Consequently, according to Post, this could lead to changes in disease dynamics. Brown University professor Doug Anderson and his team uncovered an archaeology site that captured the interest of Alaska Public Radio. For millennia, civilizations have been at the mercy of their trading counterparts, thriving or dwindling based on the availability of resources. This is especially true in the Arctic, where Brown University professor Doug Anderson has been studying trade relations in Northwest Alaska. We covered his research in June, but we weren’t able to witness his work first-hand. Fortunately, Alaska Public Radio was. In a fascinating story, APR discusses Anderson’s findings and puts them into context. Phys.org reported on how to interpret images of melted water where there recently had been ice near the North Pole. 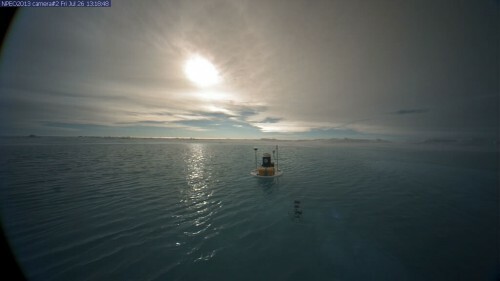 Images from webcams installed by the NSF-funded North Pole Environmental Observatory. Jamie Morison, a polar scientist at the UW Applied Physics Laboratory and principal investigator since 2000 of the North Pole Environmental Observatory, says that images showing melted “ponds” on the sea ice near the North Pole exaggerate the scenario. After media coverage in CBS News, The Atlantic and the U.K.'s Daily Mail, Morison returned from overseas travel late last week to a pile of media inquiries. Over the weekend the team posted an explanatory page on the project website.